As usual, the holidays have come and gone all too quickly. The good news? There is either tons of wine left or it’s time to restock. 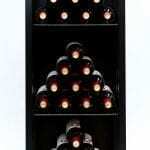 Whichever is the case we’ve found stocked wine cellars (and even one unstocked) to inspire your New Years redesign. 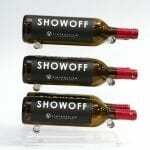 You read our Three Types of Wine Cellar Cooling Units blog and chose the necessary unit for your space. What’s next? Follow Chiott Custom Homes’ lead and deck your cellar project out with Vino Series Pins for a minimalistic and chic look. For a little extra something attention, place the cellar just off the dining room for easy access (and to show off to all your guests). MHK Architecture and Planning — who designs amazing things on both coasts of Florida and and the Carolinas — took unused space and styled it with some metal wine racks. They customized this cellar to accommodate what would have been an awkward angle while maintaining a contemporary and clean aesthetic. If this was our home we would add some books to the shelf, a love seat to the space, and curl up with a New York Times best seller and a glass of vino every night. When there is leftover space and you want to compliment the transitional design of your home, add a wine cellar. What else were you going to do with it? Morris Hullinger Design used a simple arrangement of Floor-to-Ceiling Frames and the Floor-to-Wall Bracket accessory to offset the wine racks from the custom stone finish.The cellar catches guests attention as they move from room to room, likely with a glass Bordeaux. Beautiful. 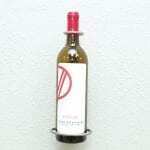 Wine wall features Wall Series in double-bottle depth configuration in brushed nickel finish. 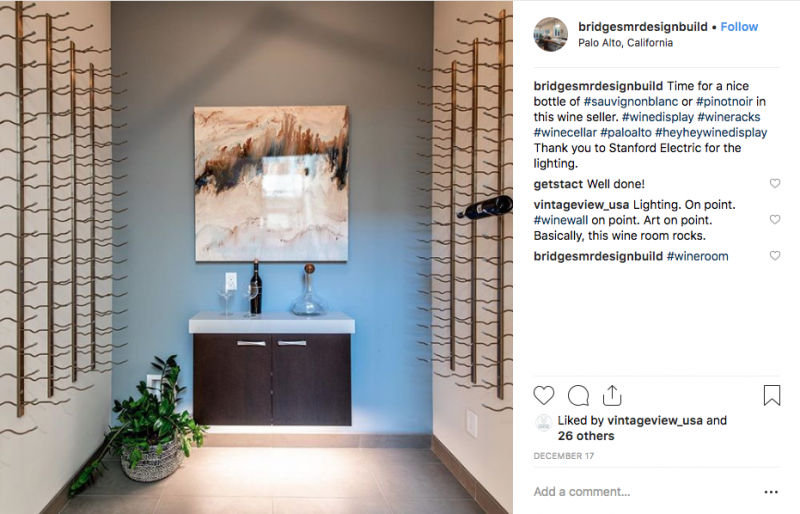 With help from Stanford Electrics Works, Bridges MR Design and Build designed this wine cellar to effectively store and show off the homeowner’s wine collection. Excellent lighting highlights the Wall Series metal wine racks and gives the space an open and airy feel, while the artwork really brings the room together. We can’t wait to see it full! This is what $12.5 million gets you in Paradise Valley. 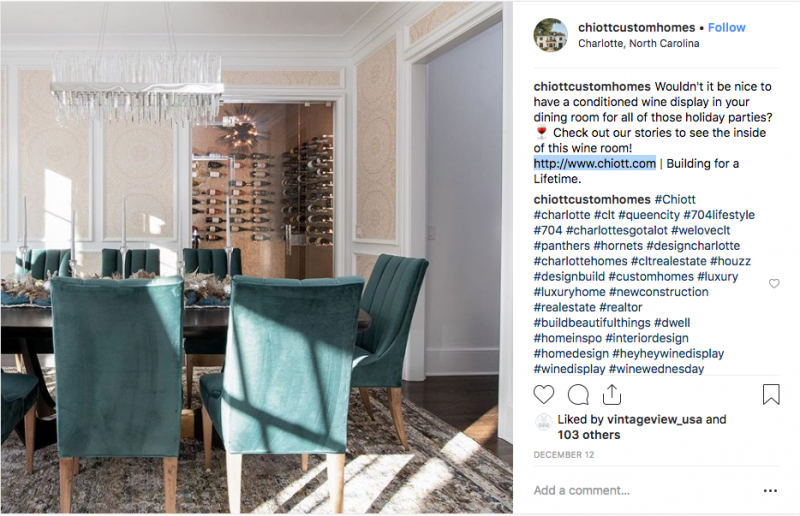 Joan Levinson shows off the highlight of this space: a dramatic 3,000-bottle chilled wine room that looks onto the dining room. 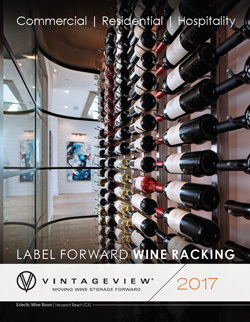 Sure to be the topic of many dinner conversations, double-deep Wall Series wine racks hold a large collection and ensure proper short-and long-term storage. While we are fixated on the cellar, there’s plenty more to love in this exclusive home listing. 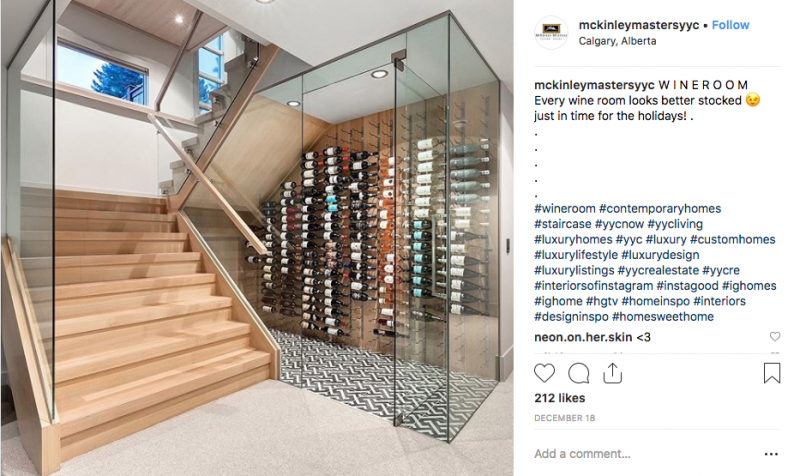 McKinley Masters nailed this transitional wine cellar design with light wood, glass, and luxury tile. 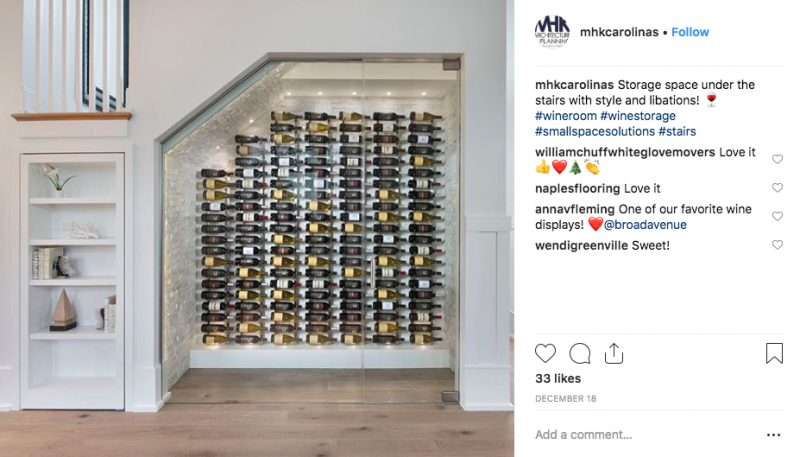 The chic seamless glass shows-off the wine bottles while the tile design makes us wonder what type of exotic selections this wine cellar may offer. This home’s New Year Resolution: host more wine tastings. 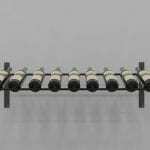 Wine display features Wall Series wine racks in double-deep bottle configuration and magnum racking in brushed nickel.